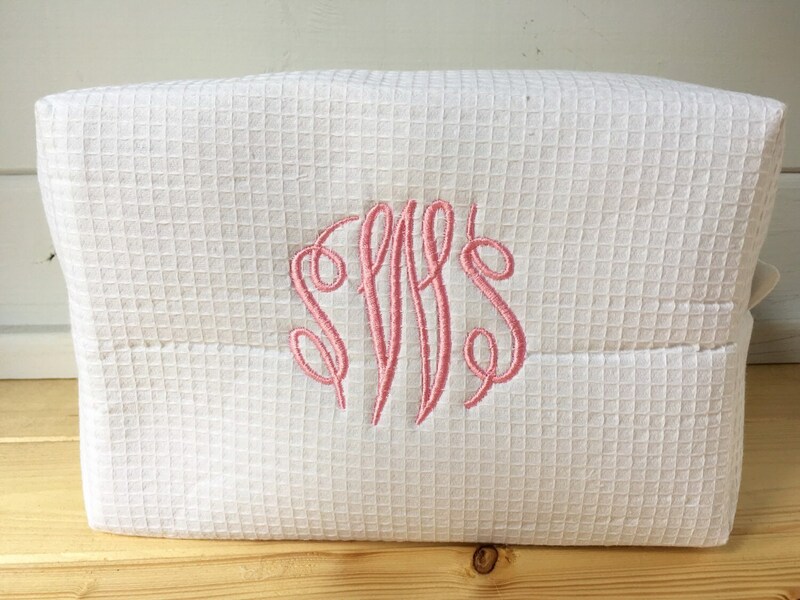 This monogram waffle weave bag is the perfect gift for birthdays, graduation or bridesmaid gift. Made of cotton waffle weave and waterproof plastic lining, this the best accessory for your cosmetics or personal items. This also makes for a great graduation gift. 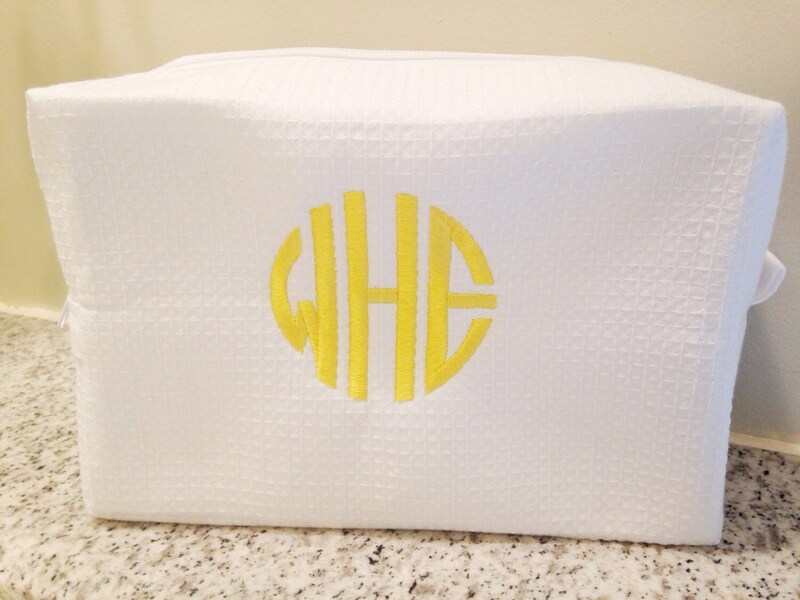 Love the monogram. The inside of the is sticky (glue like sticky).